Golf carts are a popular mode of transportation in Florida, especially in smaller, more relaxed communities or near the beach. However, golf carts have the same potential to be involved in accidents as other motor vehicles, and the results can be just as catastrophic. Here are 3 things you need to know about golf cart injuries and what to do if you’ve been involved in a golf cart collision. Motor vehicle accidents are known to cause serious injury and death when the accident is severe or involves multiple vehicles. Golf carts, on the other hand, are often considered “safer” than vehicles and many people don’t imagine being in a serious golf cart wreck. This couldn’t be further from the truth. In Florida, golf carts share many roadways with motor vehicles and collisions can be just as harmful. For example, a golf cart accident that results in a passenger being ejected from the golf cart and onto the pavement can cause head and brain injuries, broken bones, spinal cord injuries, whiplash and even death. 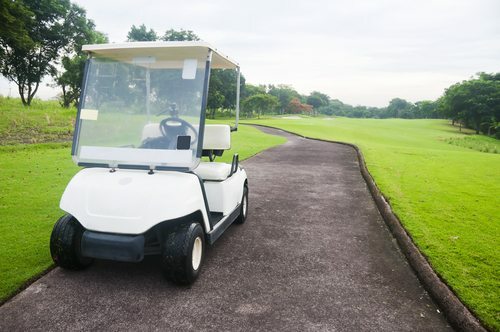 If you own a golf cart or are a regular passenger in one, it’s important to check your insurance policy in detail for the coverage afforded to golf carts and golf cart accidents. Some insurance policies won’t cover injuries and damage that results from a golf cart accident, leaving you and your family to foot the medical bills and repair costs. If you learn your insurance carrier doesn’t provide coverage for golf carts, ask about purchasing a specific insurance policy that does. Golf cart accidents are subject to many of the same laws as motor vehicle accidents. That means, the person who is found to be at fault for the accident may be able to be held legally responsible for the injuries and damages that resulted from the collision. You may be able to pursue compensation through a personal injury claim against the person if it is found that their negligence, carelessness or wanton disregard was the primary cause of the accident. If you or someone you love have been harmed in a golf cart accident, it’s important to speak with an attorney as soon as possible about your case. Before selecting a Florida golf cart accident lawyer to assist you, make sure they have past experience working with victims of golf cart accidents and their families. While golf cart collisions are like motor vehicle accidents in many ways, there are also innate differences that can make or break your case. It’s critical that you work with an attorney who understands golf cart accident law in Florida and can offer you sound legal advice and personalized service. Contact the Slonaker Law Firm today to learn more about obtaining financial compensation for damages incurred during as the result of a golf cart accident. We’re standing by to assist you. Call now at (352) 629-6656 or (888) 629-6656.